If your bathroom needs a facelift or your kitchen could do with remodeling, do not despair! Get a home improvement contractor to help you out. Estimate the home improvement costs involved. 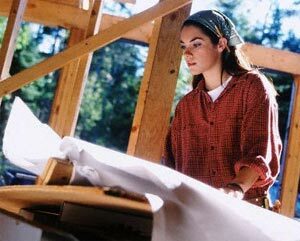 This article carries a detailed guide on hiring contractors who can help you remodel your house. The kitchen is an important part of any home improvement project. Blend practical appliances with the timeless beauty of oak wood and you can have a kitchen that would do you proud. Read on for practical home improvement advice. It is preferable to opt for a home improvement contractor through personal recommendations. Online services can be used to peruse and screen local contractors for home improvement projects. 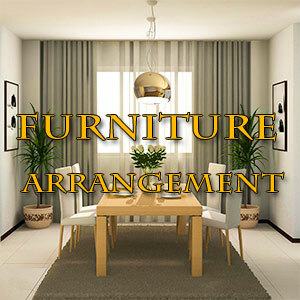 Get formal bids from a short listed set of about 3 contractors on the same plans and specifications. It is not necessary to opt for the contractor with the lowest bid. It is important to check the contractor's license and insurance coverage for worker's compensation, property damage and personal liability. Checking up the contractor's schedule would give you some idea whether he would be handling multiple projects at the same time or merely working on yours. A formal contract must be drawn between you and the contractor with whom you are planning to get your home improvement jobs done. All details of the work to be carried out. This should include clear plans on demolition, cleanup and trash collection. The 'broom clause' takes care of clean ups and spills and stains. Remember that any changes and extras will add to your costs. Specify the materials that are to be used for home repair and construction. Plumbing fixtures and floor coverings need to be clearly specified according to the agreed conditions. Specific warranties covering materials and workmanship should be clearly spelt out. Record the names and addresses of the parties honoring the warranties (contractor, distributor and manufacturer) as well as the length of the warranty along with any limitations. Schedules and dates must be clearly mentioned. This can help in tracking and monitoring the work and making appropriate payments. It is prudent not to pay for more than the work completed and materials delivered. After all, money is the only leverage you have for getting your job done. A release- of- lien clause in your contract can protect you from materials suppliers placing a lien on your property in case their payments are help up. alternatively, you can issue a portion of your payments to an escrow account to be held until the home improvement work is completed. You must not sign a completion statement and make the final payment until you have verified and inspected the entire job. What you must look for in a potential home improvement contractor? 1. How long has he been in business? Check out any consumer complaints against him. between states and localities. Some states have licensing and registration statutes that affect contractors for home improvement and repair as well as repair modelers. 3. A competent home repair contractor will get you the permits necessary to embark on your project. If he doesn't, you need to check if he is registered. 4. Check a list of references where he has completed similar projects on home repair and improvement. References should be checked to ensure that the contractor has completed the home improvement and repair job in a proper manner in the stipulated time frame. 5. Will he be using sub contractors for this project? They too should be covered under insurance coverage and licenses. It is necessary that you discuss the payment options with the home improvement contractor. If you are taking a loan, you can seek various options. Smaller projects can be paid by cash or credit card. You should try and ensure a reasonable payment schedule and fair interest rate. try and limit your down payment and make payments based on the completion of a defined amount of work. Maintain records of the contract and correspondence carefully. This will help you in the final checklist when the home improvement contractor finishes his job and it is time to settle his payment. In the event of any dissatisfaction with your home improvement contractor or any breach of contract, you can contract your local consumer protection office. alternatively you can seek help from the Better Business Bureau. Whether you are seeking a bathroom home improvement job or a kitchen remodeling and home improvement job, you need to estimate the cost of the project. The home improvement cost needs to be calculated based on the extent of work to be done, the materials required and other factors. Many an online project calculator can help you estimate the home improvement cost by figuring out the amount of materials you may need. The home improvement cost can be calculated on two parameters: Time and Materials billing or fixed price contract. Fixed price contracts are beneficial as they do not allow for any markup and are easier to administrate. The 'Cost plus' contract requires detailed time sheets and labor supervision. 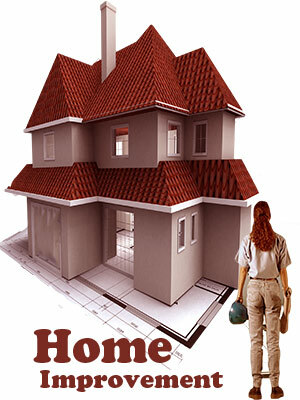 The cost of home improvement is essential so as to plan the finances for funding the project. You need to consider the various types of loans available. The home improvement advice is to match the loan type to the estimated resale value of the project. Short-term loans are ideal for projects that don't add significant value to the house. A long-term loan can be utilized for improvements that will add payback value to the house. The payback value is the leverage to decide the type of financing. Calculating home improvement costs involves labor and material costs that can vary in their complexity and depend upon the economic times and regional markets. To ensure a home improvement cost that is reasonable, you will need to take into consideration the local building codes, construction moratoriums, availability of supplies and workers as well as weather conditions. No bathroom home improvement project is complete without the right flooring. You can choose from ceramic, slate, and granite and stone tiles. You have to consider durability, usage in addition to the texture and tile dimensions. If you are considering hardwood or linoleum, you need to look at the various choices available. Good bathroom lighting is essential in any home improvement plan. You can chose between ceiling, vanity or recessed or accent lighting. The toilet forms the critical element in any bathroom home improvement job. You will be amazed at the selection of toilets and bathroom accessories available these days. They are available in a range of colors to match the décor. For those seeking to sink in a warm bath, consider whirlpool or soaking baths that come in a wide range of materials such as fiber glass, cast iron, composite, acrylic and steel. Costs for bathroom home improvement tubs can range from $300 to $2000. Jacuzzis and shower closets can also be chosen. Mildew is a common problem with most bathrooms. Warm air and moisture combine to create mold and mildew. Installing a bathroom vent can help in alleviating this problem to some extent. A mobile home can have several problems - interior and exterior painting, electrical, plumbing etc.. The mobile home repair industry is not geared up to guarantee good workmanship and service. Most mobile home improvement projects end up as DIY projects. You can find a contractor to undertake your mobile home improvement job but you must ensure that he is sufficiently experienced in working with mobile homes. You can use the easy-to-use products that are available along with the directions to get a few home improvement jobs on your mobile home. Kitchen home improvement can encompass kitchen cabinets, countertops, flooring and appliances. At the very start, you will need to decide on the kind of job, its size and your budget. The home improvement advice for buying kitchen appliances is that they should depend on the kitchen layout and match with one another. There are freestanding stoves and built-in appliances. You can choose the ones that suit your needs. Design, functionality, capacity and needs are the basic questions that help to decide on a particular kitchen appliance. Kitchen home improvement starts with the kitchen countertop - granite, slate, stainless steel, copper or marble. It gives a neat and elegant look to the kitchen. This home improvement job for the kitchen is a skilled one and should not be attempted by amateurs. Choosing material that is strong and beautiful is the hallmark of an elegant and practical kitchen. The kitchen flooring must endure everyday wear and tear as well as spills. You can choose the warmth of hardwoods or the beauty of travertine. Plan your budget with your kitchen home improvement contractor in consonance with the materials you want. A flooring of vinyl or ceramic tiles can set you back by about $10 dollars to $40 dollars per square yard. Vinyl laminate flooring is ideal for a small budget kitchen home improvement job. When choosing kitchen cabinets as part of your kitchen home improvement project, you will be overwhelmed with the varieties that are available - laminates, hardwoods, veneers, lacquered finishes and many more. Ready to assemble cabinets can be got for under $1000 whereas the high end ones cost more. Custom cabinets are built to specifications and cost more consequently. The stock cabinets are manufactured in standard sizes. You can choose a style ranging from the contemporary laminate to traditional hardwoods like oak and cherry. Home improvement advisors guide you in choosing knife racks, spice racks, lazy Susans and pullouts that can upgrade your kitchen cabinet utility.